Wifestyles Blog & Photography: Hair Teaser! Hi bloggers! I've been SO busy. I had my hair & makeup trial and photo shoot Thursday! but right now I'm EXHAUSTED. 6am is not for me. So wedding worthy! It's beautiful. I think that hair style is perfection! 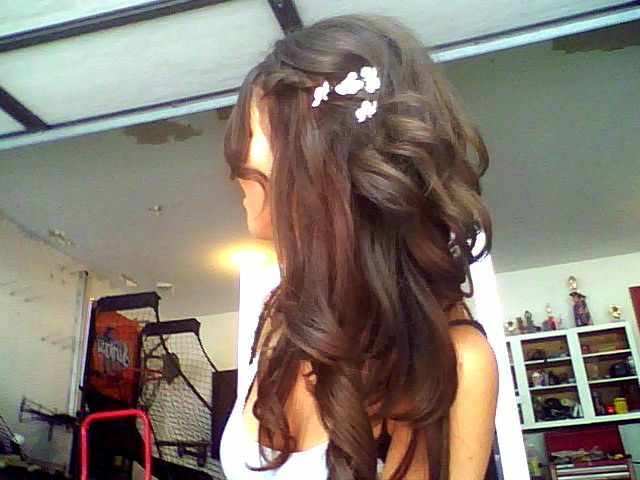 The lowers are just the right amount, and the curls look great too. Yes it is wedding worthy!! It is absolutely beautiful!!! Your hair looks stunningly amazing!!!!! LOVE IT! Love this hairstyle so much!! I vote totally wedding worthy! You are seriously the cutest thing everrrrr!! Your hair looks great! Definitely wedding worthy! :) I hope you'll be posting other pictures of Thursday! that looks amazing!!! it's absolutely wedding worthy! Thank you guys!!!! :) I love all the sweet comments! oh i love it A LOT!! I think it's possible you have the most gorgeous hair ever!